Hey Guys! 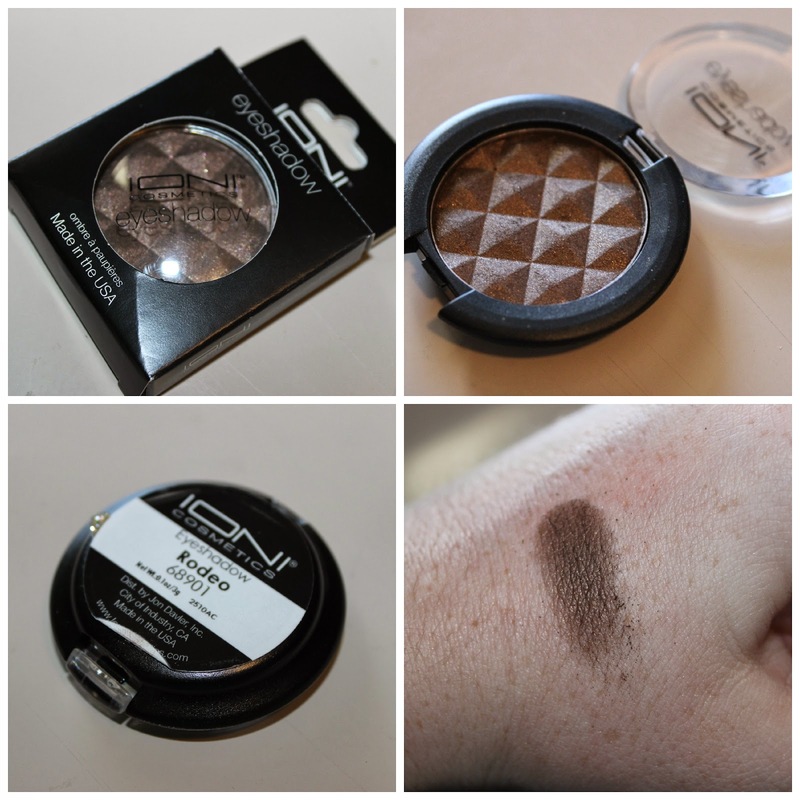 Today I wanted to share with you a few new products I picked up this weekend and their swatches. 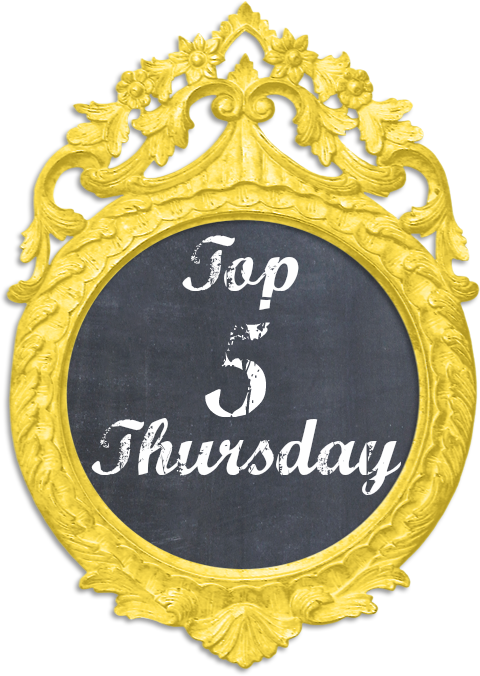 I also just wanted to let you know my first impressions of the swatches, packaging, etc. without having ever worn them. I originally heard of the IONI line watching this video from Emily at Beauty Broadcast. I didn't think I had a Fred's anywhere close by though, so I thought I couldn't get it. Yesterday driving around, we found a Fred's and I ran in and grabbed these three products to test out. The first thing I picked up was a blush. I knew these came highly recommended by Emily. So I picked up the one in Orgasmic. This blush is kind of a pinky color with a goldish shimmer in it. I love this color. It is super pigmented and only $2.50! I will most definitely be picking up more colors in this blush. The next thing I picked up was an eye shadow in Rodeo. This is a dark shimmery taupe/brown. I really love this color! The only problems I have are that the packaging seems to be a little cheap and the eye shadow is a little powdery. It is pretty pigmented and like I said is a beautiful color. I am going to wear this and see how long it lasts and how it applies before I decide if I want to purchase more. The good news is this was only $1.00!! The last thing I picked up was a lipgloss in Cinema. This lipgloss was only $1.00! 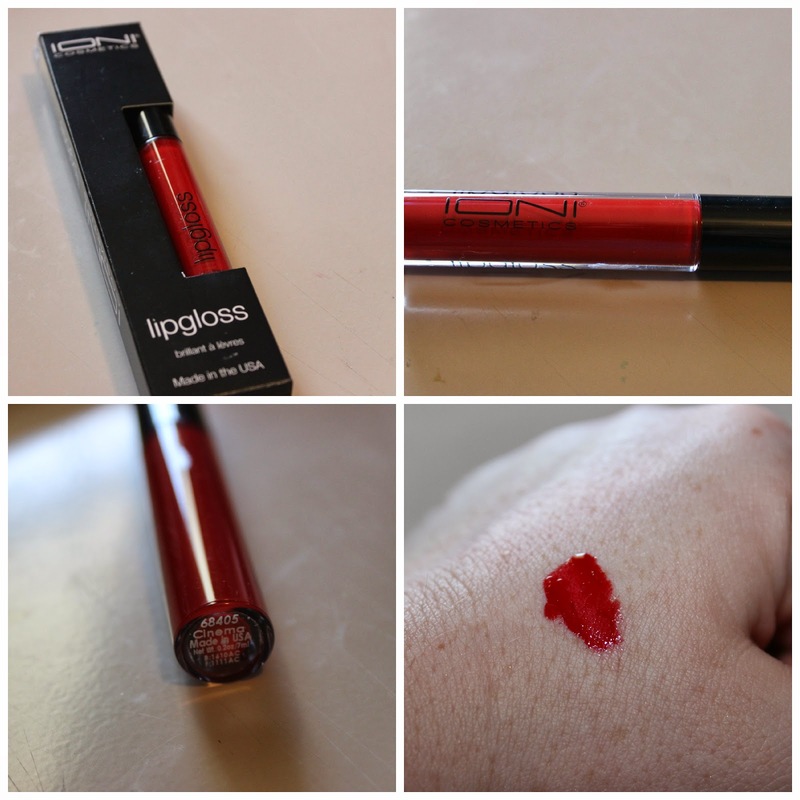 It is a beautiful true red lipgloss. I love this gloss when I swatch it. It seems more like a liquid lipstick, it is super pigmented. I cannot wait to try this on my lips and see how it feels and how it wears. 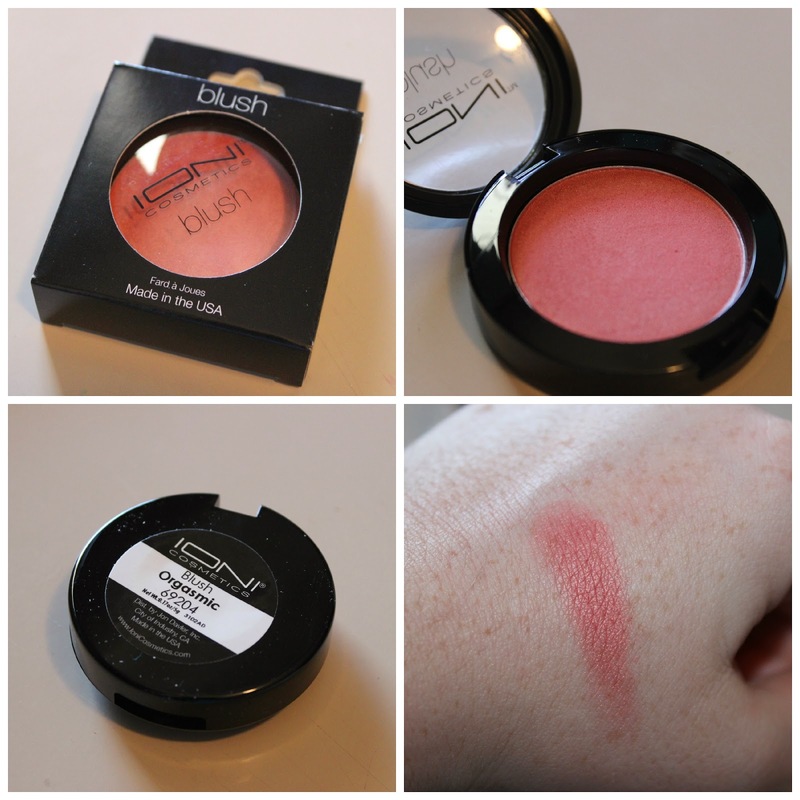 Overall, from the swatches I am really enjoying these products. I do want to try them (and will do a post when I do!) and see how they wear. 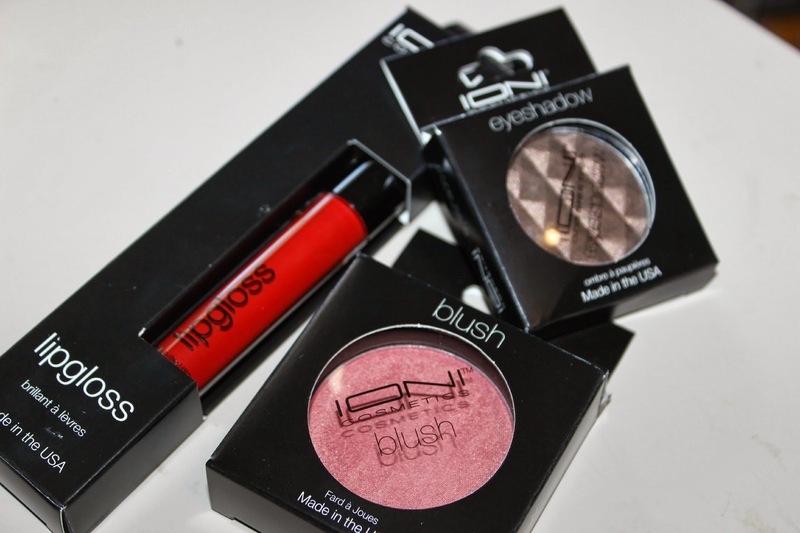 I also really want to go back and pick up some other products and try them! I will keep you guys up to date on how I like these and if I do pick up some other products from this line. Have you ever tried this line? If so, what do you think? ?